Products purchased through us can be returned for an in store credit or exchange within 30 days from the date you made your order. Please read the below steps explaining the conditions and how to exercise this. - WE ARE NOT ABLE TO TAKE A RETURN FOR ANY USED ITEM. IF ANY ITEM SHOWS SIGNS THAT IT WAS USED, IT WILL BE REJECTED AND SENT BACK TO YOU. - FOR ANY SIZING ISSUES, THE COSTUME IS ONLY ELIGIBLE FOR EXCHANGE FOR THE CORRECT SIZE, IT'S NOT ELIGIBLE FOR A REFUND. 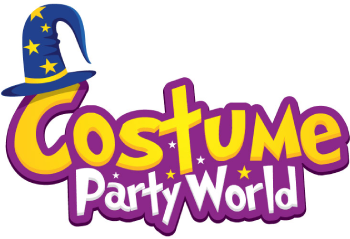 IT IS ALSO ELIGIBLE FOR AN EXCHANGE TO A DIFFERENT COSTUME, PROVIDED THAT THE COSTUME DOES NOT SHOW SIGNS THAT IT WAS USED. - IF THE ORIGINAL COSTUME PACKAGING HAS BEEN OPENED, IT'S ELIGIBLE ONLY FOR AN IN STORE CREDIT OR EXCHANGE TO ANOTHER SIZE. - IF YOU WISH TO RETURN AN UNOPENED ITEM FOR A REFUND, THERE WILL BE A RESTOCKING FEE OF AT LEAST 15% OF THE ORDER VALUE. AN ALTERNATIVE TO A REFUND IS AN IN STORE CREDIT OF THE FULL ORDER VALUE. AN IN STORE CREDIT IS GOOD FOR 6 MONTHS. 1. Request a return number by e-mailing us or using on our website contact form before returning the product. Please include your name, order number, the reason for the return. Within 1 to 2 business days after submitting the request you will be contacted via email with an RMA number and product return instructions. 2. Returned items must be complete condition and not missing necessary parts. When returning a product, please write your RMA number on the package. 3. We DO NOT provide any prepaid return shipping or return shipping compensation. 4. Refunds will be issued back to the original payment method. The refund will be issued after we have inspected your returned product (the returns department will check to see if the item was opened or used). If the product is not required to be returned, the refund will be issued on the same date as we specify to you by email. 5. We are not able to refund back any EXPRESS method shipping cost. If you wish to get a replacement of the same product after 30 days from the date you made the order, please get in contact with us and give us an explaination of the defect. For some costumes we can do repair work, but it is usually better to do any repair work with a local tailor, to save on expensive shipping costs.